These bite-sized miniature pies are perfect for entertaining - make a single flavor or create a variety of flavors in just one batch. Included in this set is the cut and press tool to easily size pies and add a design to the top crust. Oven safe to 450°F / 232°C; not intended to be used under the broiler. Sharp-edged utensils and knives should not be used. 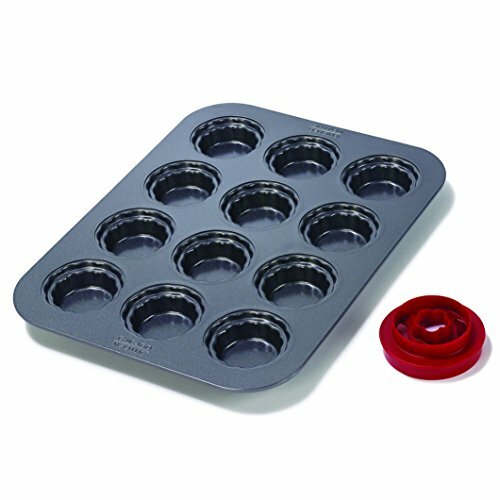 Zenker 6531 Mini Tart Pans (Set Of 6), Black/Metallic, 4.13"